For as long as I can remember, I haven’t liked seasonal. 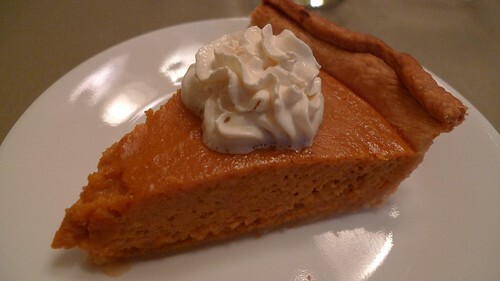 Today as I ordered a piece of pumpkin pie, I was already worrying about when pumpkin pie would be out of season and I wouldn’t be able to order it anymore. When I used to get McRib’s at MacDonald’s, I would fret way, way more than I should probably admit to you about when the promotion would be over. When I used to get strawberry shortcakes at a local ice cream place, I would be anxious, trying to calculate how many more strawberry shortcake days I had left before strawberries would be out of season. I can’t remember the first thing I ever worried about going out of season. All I know is I have worried crazy over everything I care about that goes out of season. When I put the Christmas tree up, I’m already sad about taking the Christmas tree down. When I’m getting ready for spring break, I’m already sad about coming back from spring break. When I’m in summer I’m already dreading winter. When I’m on vacation I’m already scared for when it’s going to end. And the morning of my birthday I’m already mourning for the time when my birthday will be over. I have always had anxiety about things ending. And about change. I don’t like what I feel to be “forced” change. I want to keep my Christmas tree up forever. I want the days to be as long in November to stay as long as they are in July. I want my birthday party to never end. I want those special treats and times to never go away and be locked in a time capsule for days or weeks or months. Fortunately for me, I have a Savior who understands how needy-for-the-eternal and easily anxious and, well, pitiful I really am. Jesus promises not to be seasonal. If you live in a place that experiences four seasons, you have probably had a lull around January, February, or March. January is desperately tough, because you have just started a “New Year”, but Christmas has already gone! You have the post-Christmas blues and exhaustion with typically little or no time off work. You have snow without the expectation of a white Christmas. And you have bitter weather, even more bitter that December . . . but the cute wool scarfs, crotcheted hats, special gloves, trendy coat, and new boots have lost their fashion sheen. The Christmas candies are all gone; there are no more mystery presents to be opened (if you were so fortunate as to have someone wrap you a present in the first place); the heat bill is costing you a fortune; the credit card bills have just come in; the bank account is looking mighty empty; and it’s hard to find anybody in a particularly cheerful mood. By February, the techno-modern gadgets bought at Christmas after countless hours of standing in line or searching Ebay are now ‘virtually’ outdated, you look at the snow and think, ‘Like, why are you still here?’, and everybody starts shopping for outrageously expensive amputated flowers for Valentine’s Day. That too-neony color of red is everywhere, and for those of us who aren’t dating or married, we get to parade past everybody’s love-nesting ads and think how we would like to have somebody to give one of those magnetic kissing giraffes to and keep the other one for ourselves. We maybe even scheme about how we could buy the pair of kissing giraffes and hide one where nobody would think to look and set the other one on our desk at work so people might think we aren’t the total loser we feel like we are around Valentine’s Day. And then, by March, you’ve actually started missing mosquitoes. Nobody is getting married. There are no cool social events planned until Spring Break—and that’s only if you have a kid in school or if you’re in college or you take the week off. The trend is to buy new t-shirts for the summer that doesn’t seem to be anywhere near. You think about being on a beach somewhere that a pile of work can’t follow. If you have Daylight Saving’s Time, an hour gets clipped off, probably out of your sleep, but at least you do get to see more sun. There doesn’t seem to be anything happening in the yard. The possible ice and freezing rain doesn’t make for pleasant flower-growing. No tomatoes just bursting with flavor or sunflowers just bursting with color. There is, however, that hummingbird lawn ornament you bought a year back when you thought getting an LED hummingbird for $6.97 was somehow a great deal and was really going to compliment your life. Why am I not having any fun? Why does life seem to be so hard? Is there any reason to try again since I broke my New Year’s Resolution on January 2nd? People sometimes say winter weather and less light can be factors in depression and gloom. But it’s way more than cold or darkness. It’s the loss of distraction. It’s an awareness of mortality. It’s a loneliness of heart. Sometimes it’s even a belief that nothing good will come, or can come. Although the focus of the world and even many Christians seems to be December 25 . . . and then the summer . . . and then December 25 . . . we miss the best day of all, an in-between day in late March or early April, following the hardest, coldest, darkest months of the year . . . Easter. Christianity is not actually a faith centered around Christmas. It is a faith centered around Easter. We don’t know the month or day when Christ was born. But we do know when He died. The Bible tells us He died the night of the Jewish Passover sacrifice of a perfect lamb (see Matthew 26:17, Mark 14:1, Mark 14:12, Luke 22:7, John 11:55, John 18:28) an event that occurred in what would be our March or April. He was resurrected three days later. Now I know Jewish weather is not the same as weather in the midwest USA. But I also believe in an all-knowing God, and I couldn’t think of a better time for Christ to come to life than when earth is broken from its winter cycle into the freedom of spring. Sometimes in the dreary winter months it feels like “always winter, but never Christmas” as C.S. Lewis wrote in The Lion, The Witch, and the Wardrobe. But what we forget is that Christmas is not the best part of the story. The Chronicles of Narnia: The Lion, The Witch, and The Wardrobe, page 117, 118, 128, 136, 137. Google books.